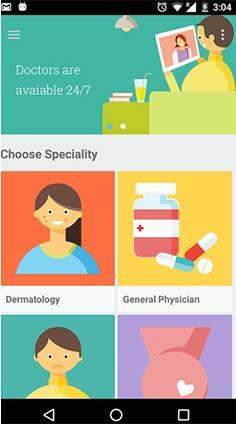 JustDoc, a healthcare startup that facilitates online video consultation with doctors, has raised seed funding from former Infosys director TV Mohandas Pai, InMobi co-founder Mohit Saxena and other investors. TaxiForSure co-founder Raghunandan G, Singapore Angel Network and TracxnLabs have also put money in this round, JustDoc said in a statement. JustDoc, run by Bangalore-based Godel Technologies Pvt Ltd, was founded in August 2015 by IIT graduates Jugal Anchalia, Abhishek Kumar and Vikash Singh. It enables patients to do video consultations with doctors 24/7 via its website and app. The app was launched earlier this month. The company is charging Rs 249 per consultation, Anchalia told VCCircle. “This (JustDoc) can change the way we provide healthcare in villages and non-metro cities. Even in metros, in hospitals that are overburdened with patients, end to end video consultation workflows can make the whole process of consultation more efficient,” Saxena of InMobi said. The startup has more than 100 doctors from reputed hospitals such as Apollo Hospitals, Fortis Hospital and Manipal Hospitals on its panel. It is currently offering consultation for general medicine, psychology, gynaecology, dermatology and paediatrics. “It is estimated that over 70 per cent of problems in these areas can be solved via online consultations, and JustDoc aims to capture this market,” the statement said. JustDoc claims that it has facilitated about 2,500 video consultations till date, and is doing more than 100 consultations per day. It is in the process of partnering with government and private hospitals for its services, the company said. Recently, another online healthcare consultation provider Doctor Insta Pvt Ltd pre-Series A funding of $500,000 (Rs 3.31 crore) from angel investor Rishi Parti and BrahmaX Ventures, a US-based venture capital firm. Other players in the online healthcare sector include HealthEnablr India Pvt Ltd, iClinic Healthcare Pvt Ltd, Welcome Cure Pvt Ltd and mHealth Ventures India Pvt Ltd.
Mohandas Pai, chairman of venture capital firm Aarin Capital and educational and training services provider Manipal Global Education Services, is an active angel investor with a portfolio of over a dozen startups, including self-drive car rental Zoomcar and fitness startup GetActive.